An approximately $1 scooter ride turned into thousands in medical bills for one woman. Before falling, Michelle Inskeep’s ride on an electric scooter lasted less than a minute and cost her about $1. The aftermath: $6,500 in medical bills and three months of recovery -- and counting. 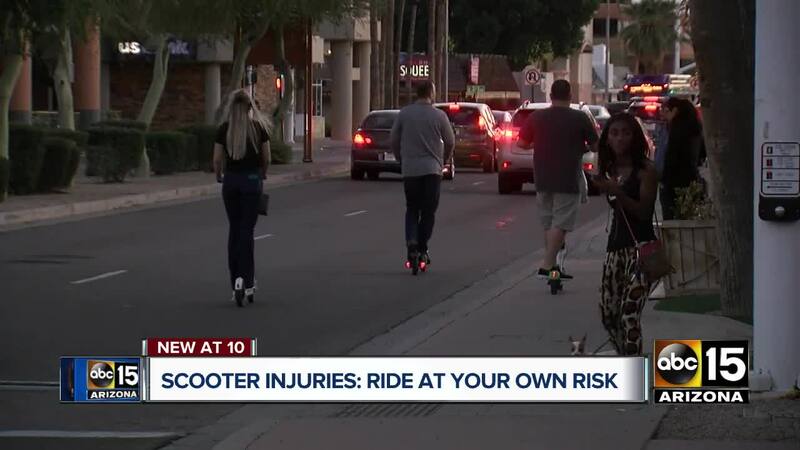 On November 14, Inskeep was riding a scooter in downtown Scottsdale when she fell as she tried to avoid hitting a curb. The fall caused her to break several bones in her right foot and her thumb, in addition to multiple scrapes and bruises. She’s still rehabbing after a complicated surgery that placed four temporary screws in her foot to separate the bones as they healed. Electric scooters are flooding the Valley at an increasing rate. A handful of companies, with clever names like Lime, Bird, and Jump, have dropped thousands of the rentable devices at major intersections and densely populated areas in the past six months. The scooters quickly accelerate and hit speeds that routinely exceed 15 mph. As the number of scooters increase, so does the number of people seriously injured on them, according to Valley first responders and hospital officials. 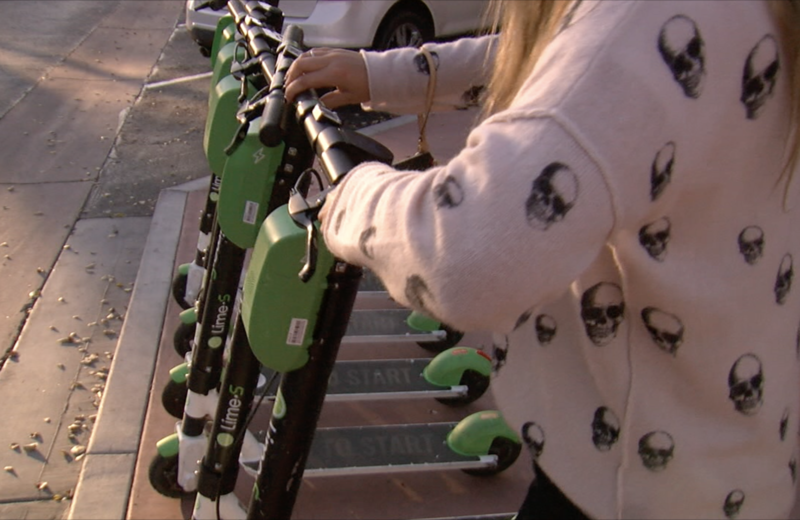 Tempe began receiving so many calls for scooter injuries, that the fire department set up a special tab in its record-keeping system to specifically track scooter calls. On average, Glass said the department is averaging 29 calls for service a month. 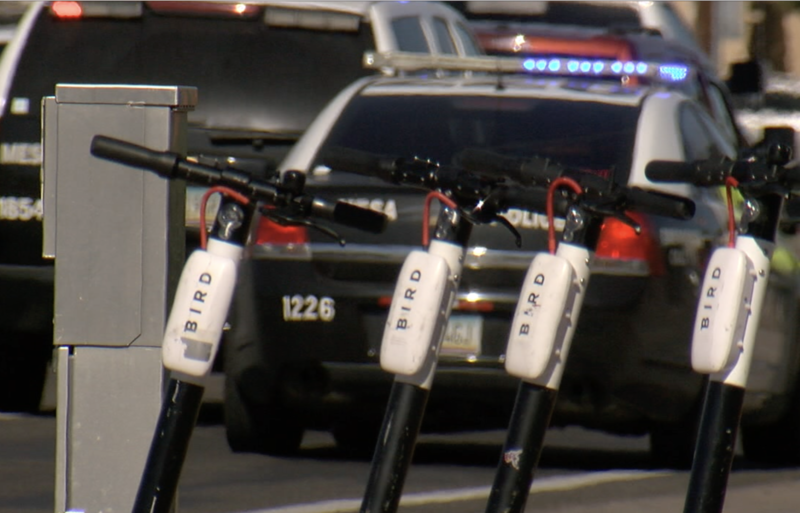 ABC15 spoke to several other departments, including Mesa and Scottsdale, which are working to implement better ways to track scooter-related calls as well. Hospitals have also seen a steady stream of patients -- often multiple a day -- and not just routine emergency room visits for stitches or broken bones. At Scottsdale Osborn Medical Center, the trauma center said it had nearly 20 trauma cases from October to mid-January. In other words, brain bleeds. Other area hospitals also said that they are seeing an influx of scooter-related injuries. Several of the scooter companies are also facing a class-action lawsuit about their safety that originated in Los Angeles. 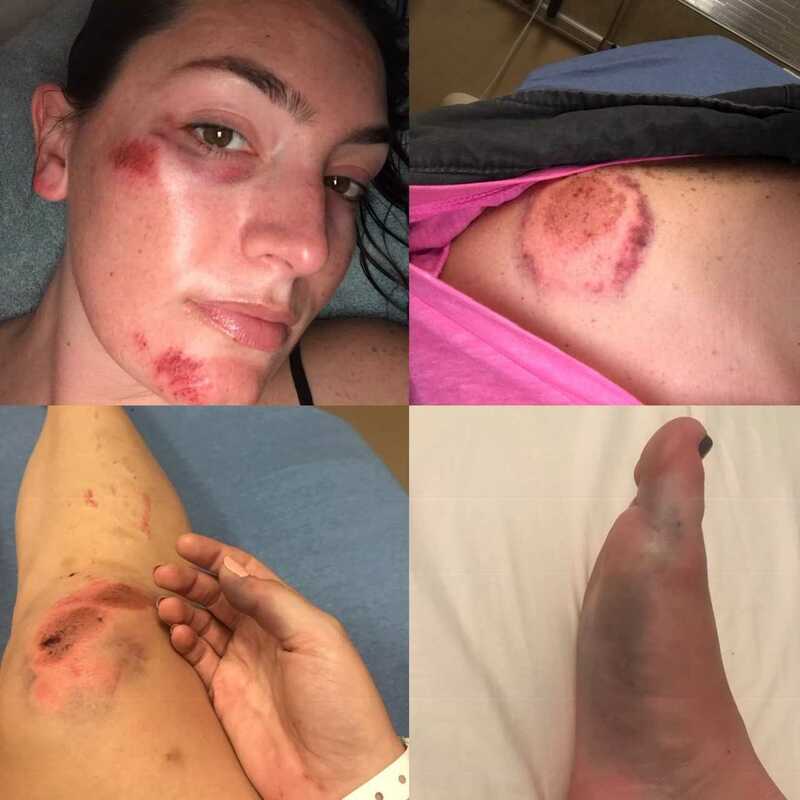 The attorney behind the case, Catherine Lerer, said she’s been contacted by hundreds of people injured on scooters. A national investigation into electric scooter injuries found 1,500 incidents across the country and issues with agencies tracking the crashes. 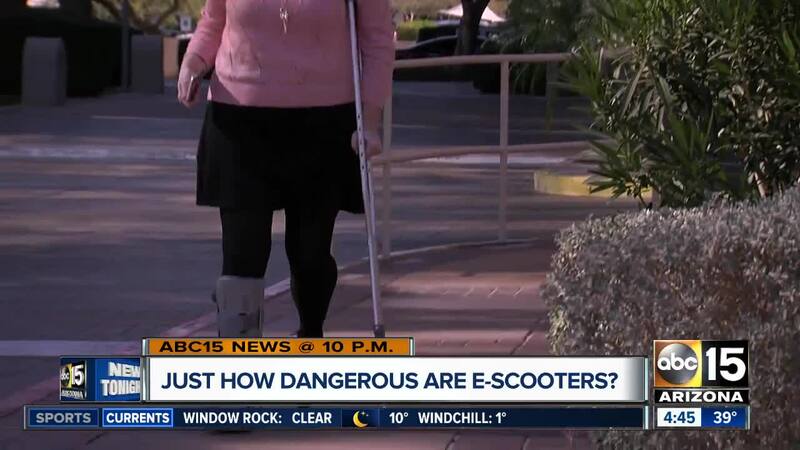 In recent weeks, ABC15 has spoken to two women who suffered brain injuries and many other people who have suffered serious injuries on scooters. Michelle Inskeep said almost everyone who asks her about her injury knows someone else who’s been injured recently on a scooter. “I answer this question every day, five times a day - about what happened to me - and almost always, someone has their own story,” Inskeep said. Then, sure enough, during ABC15’s interview with Inskeep, a security guard at her work building overheard our conversation and interrupted. “Are you just interviewing her? Because I know two other people who got injured,” the guard said. Minutes later, he came walking over with another man, whose right arm was in a sling. His name was Terrance, and just three days earlier, he dislocated his elbow and broke his arm after he tumbled off a scooter in Mesa. He also told us his adult son was hit by a car as he rode a scooter days earlier. Thankfully, he said his son wasn’t badly hurt. When Terrance went to get treatment at a local ER, he said nurses and doctors joked about how many scooter patients they’ve been seeing.